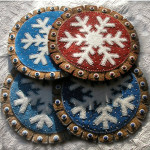 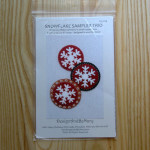 This is a wool felt kit featuring a beige ‘tabbed’ outer background topped with a white snowflake appliqued on a royal blue circle background. 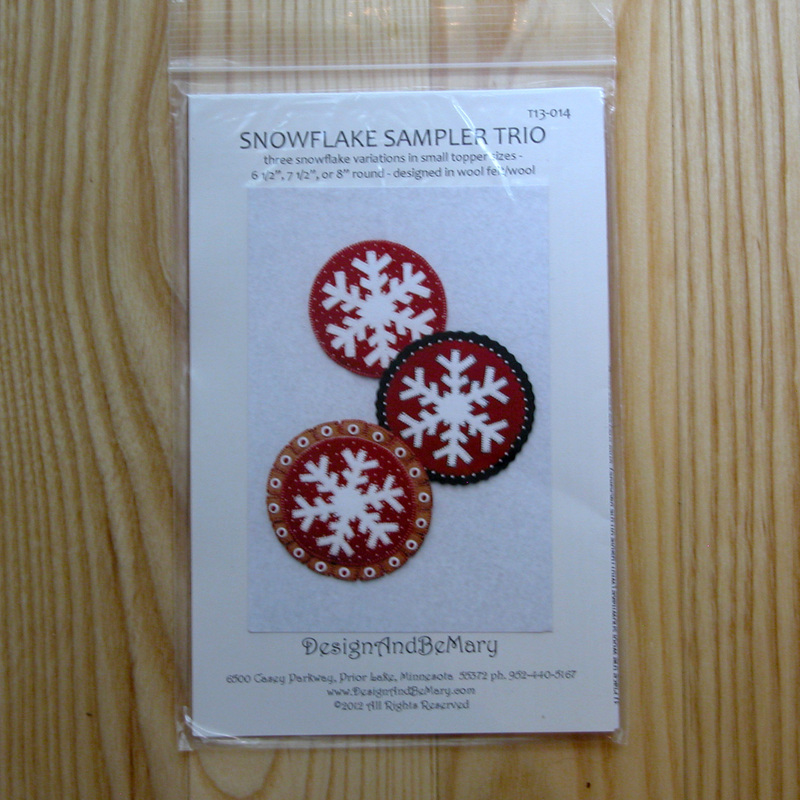 The kit contains everything to complete the 8″ ‘Gingerbread’ tabbed snowflake variation #2 in my SNOWFLAKE SAMPLER TRIO PATTERN [T13-014]. 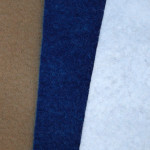 I have included a photo below which shows 4 different colored versions of this topper; hopefully this will give you an idea of what various colors may look like! 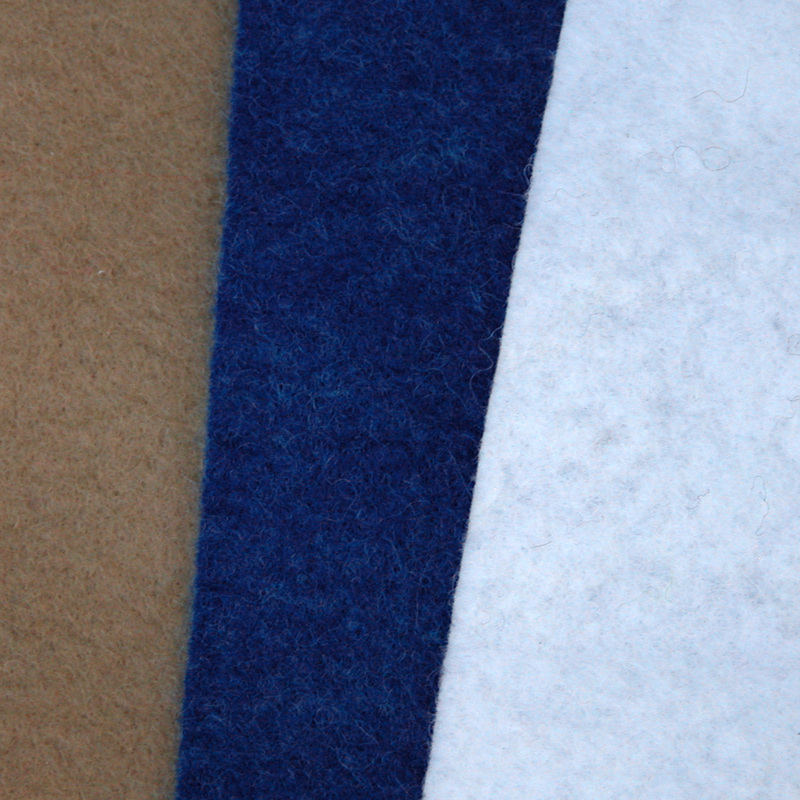 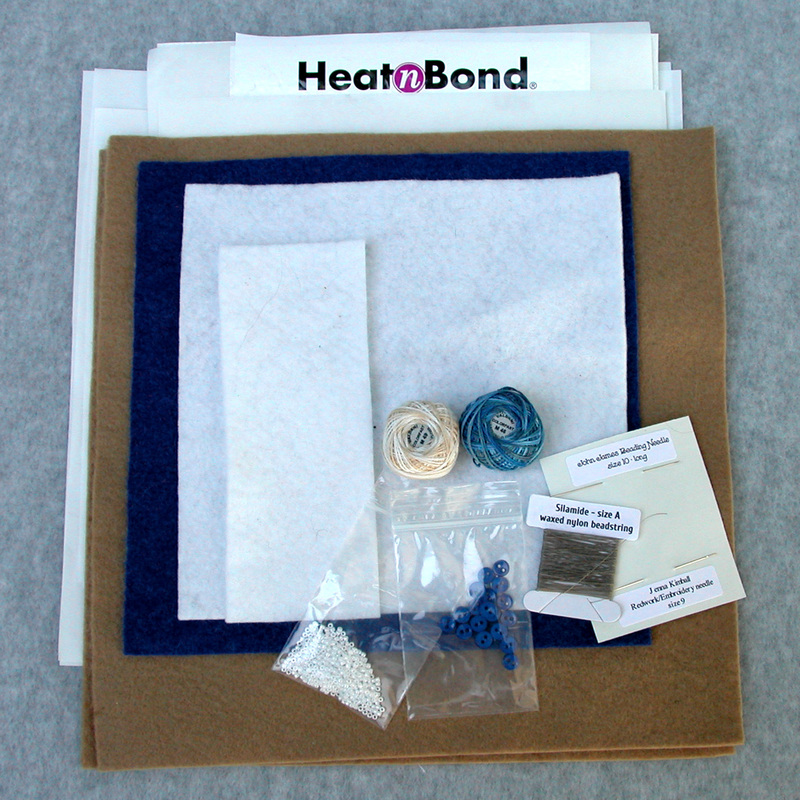 Kit includes: prepared, ready-to-use wool blend felt fabrics (from National Non Wovens), freezer paper, HeatNBond Lite(for fusing backing), Valdani thread, Silamide beading thread, embroidery/beading needles, glass seed beads, and buttons. 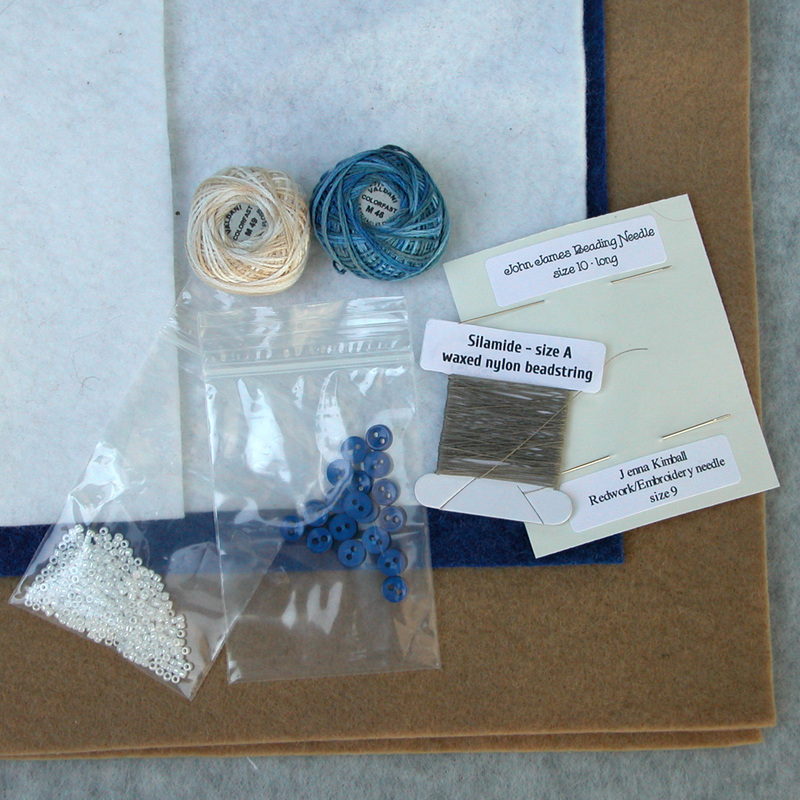 You supply scissors, iron, pencil, pins, a stapler, and any additional fusible that you may wish to use. Note: This kit does not include the pattern. 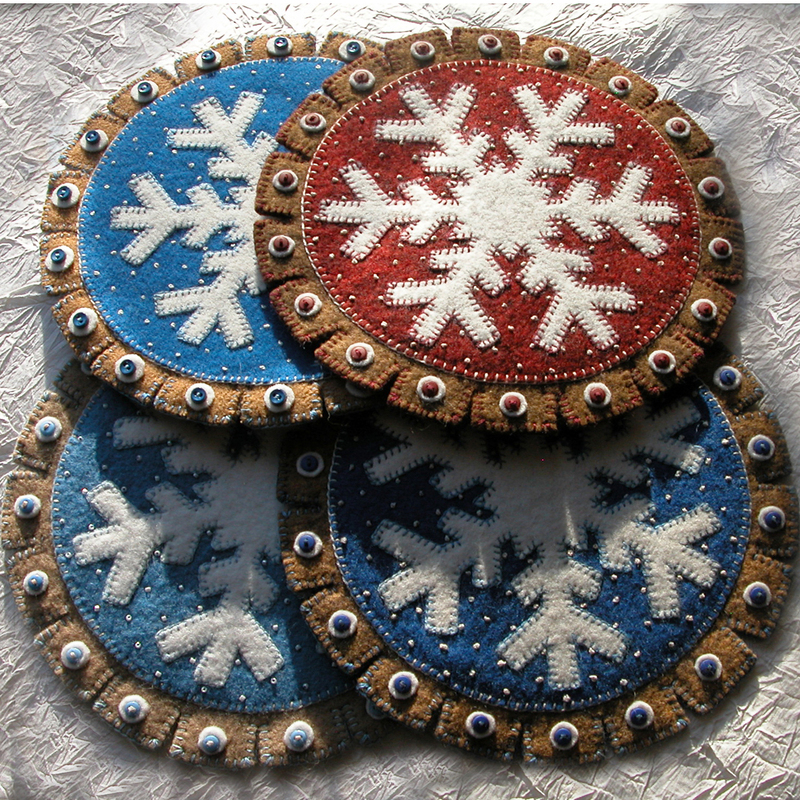 If you would like to add the pattern, please choose that option in the drop-down menu below.